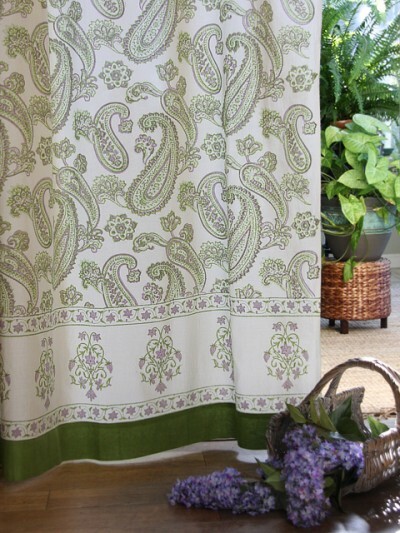 Blog » Behind the Curtain » Announcing Paisley Fraiche – Why a summer perfect print in Fall? Surrounded, bombarded and inundated with the reds, golds and browns of Fall you probably have your eyes rolled back wondering about the ‘perfect’ timing of our summer perfect print Paisley Fraîche! Well, I thought it would be nice to give you some perspective on this perfect mistiming. 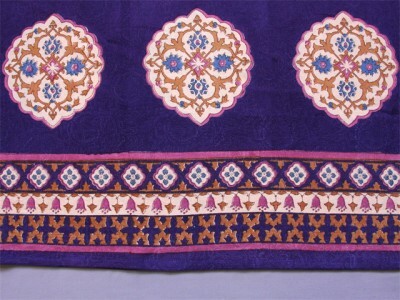 Although the print was sampled in February and was intended to be launched in the Summer of 2010, I was unable to do this because it has taken me, along with our artisans in India, a whopping six rounds of additional sampling to get the colors right. When I initially worked on this print I did not realize just how temperamental the lime green was going to be. A sensitive shade that was so well behaved during our initial sampling in the cold months of January and February, it has been wildly unpredictable during the hot summer and damp monsoon seasons. 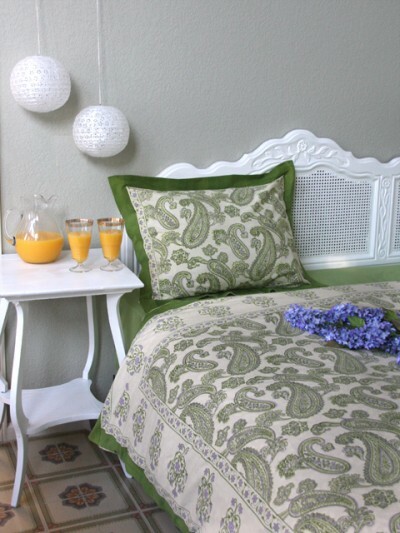 Even though the Paisley Fraîche print appears to have a relatively simple three-color palette, the lime green has been a real wild card. After six attempts that pretty much swallowed up most of the year, I finally got it to where I think it is perfect. So even if you do not see yourself embracing the elegant lime green, lilac and ivory palette during the winter, I hope this understanding will enhance your enjoyment of this print as the days get longer and Spring and Summer are upon us again. 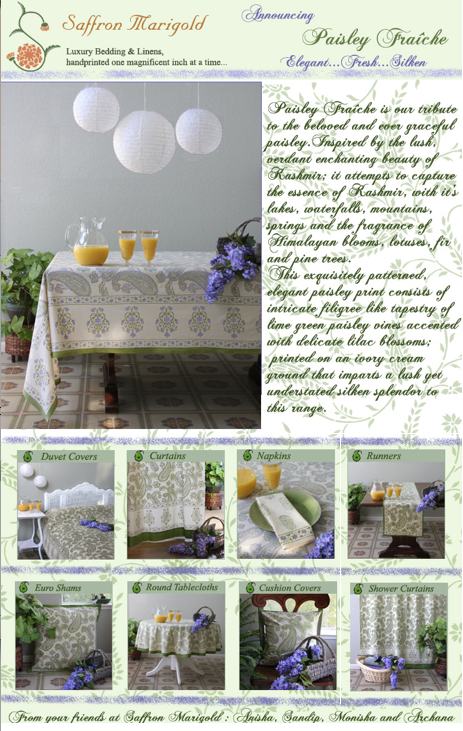 PS: You can browse the Paisley Fraiche collection here. → Story behind Sultan’s Palace: How is it printed?